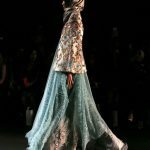 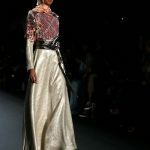 A Muslim fashion designer has made history as the first ever designer to feature hijabs in every outfit on a New York Fashion Week catwalk. 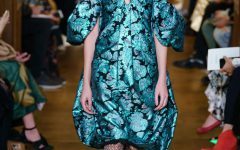 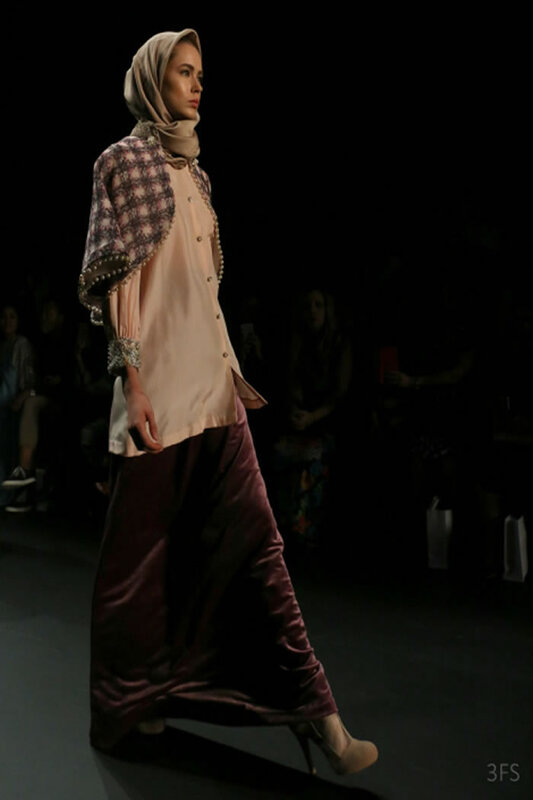 Indonesian designer Anniesa Hasibuan, 30, delighted crowds with her Spring Summer ’17 collection D’Jakarta. 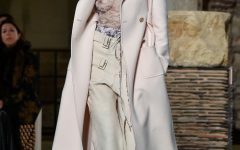 Models wore flowing trousers and skirts in silk, lace and chiffon in an array of pastel colours. 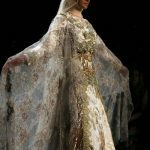 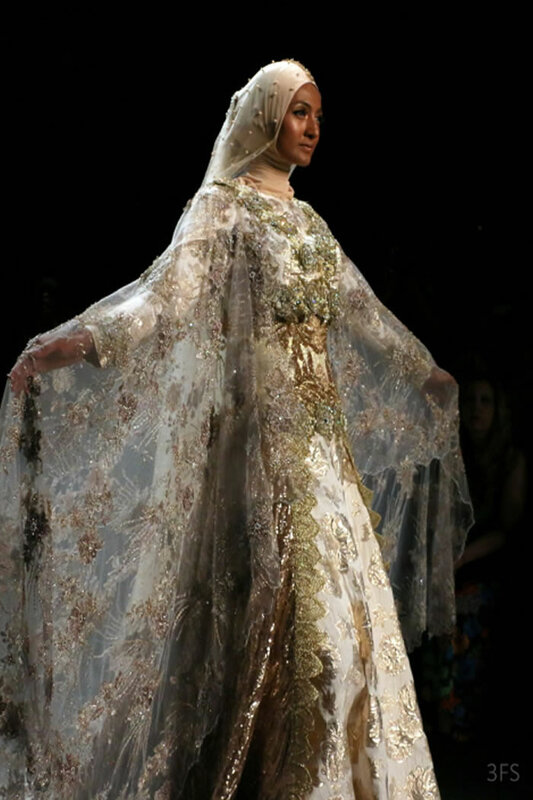 One stand-out garment included an intricate gold lace dress, featuring metallic embroidery at the bust and a fringed lace train. 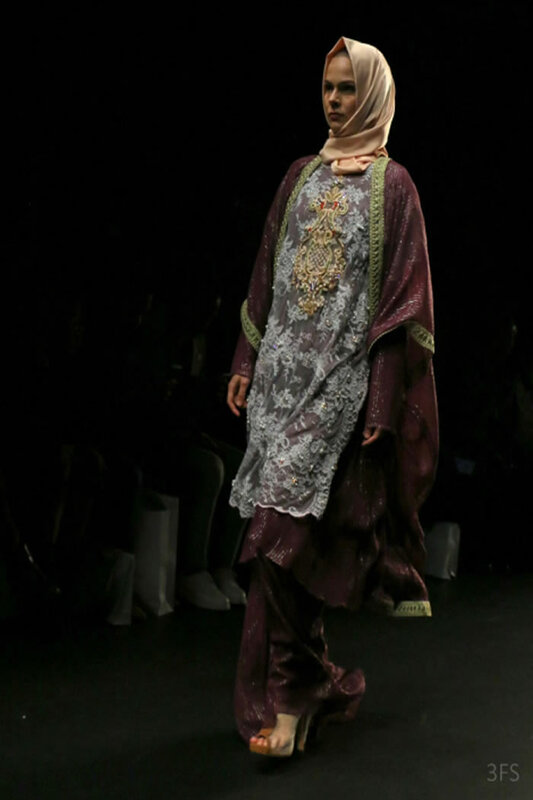 Each model wore a hijab in gold, pale pink or dove grey silk. 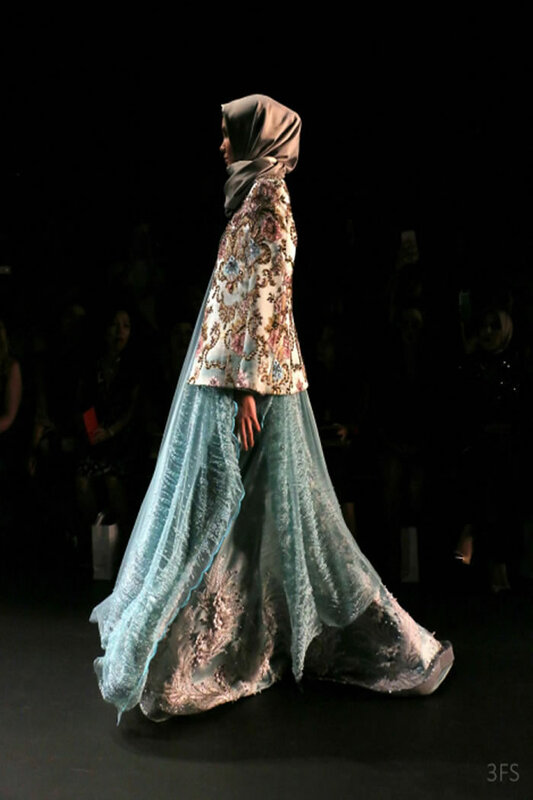 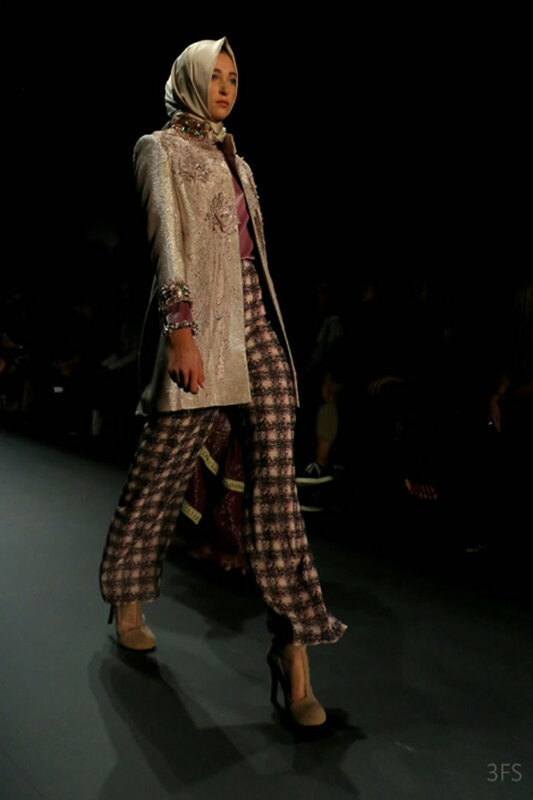 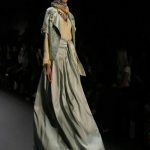 It is believed to be the first time a New York Fashion Week catwalk show has featured hijabs on every model. 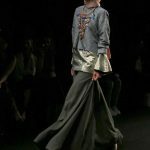 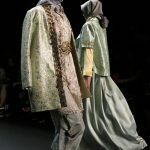 Ms Hasibuan also made history as the first Indonesian designer to be featured at the fashion week and says her designs were inspired by her home city of Jakarta, where she also has a boutique.